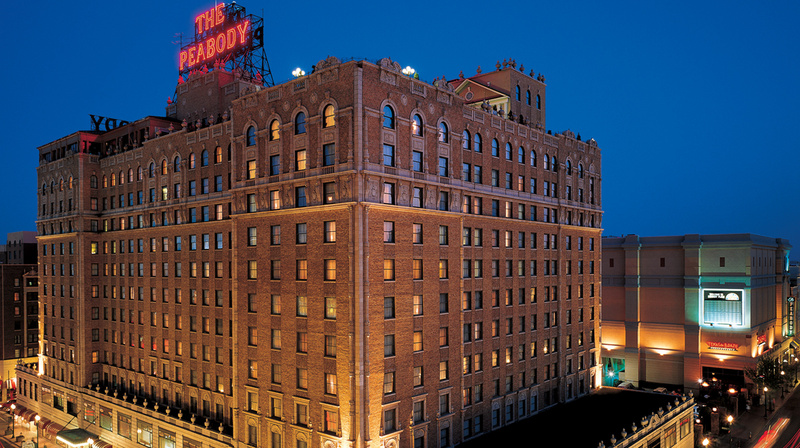 Celebrate the 150th anniversary of a Southern icon when you book The 1869 Package at Forbes Travel Guide Four-Star The Peabody Memphis. 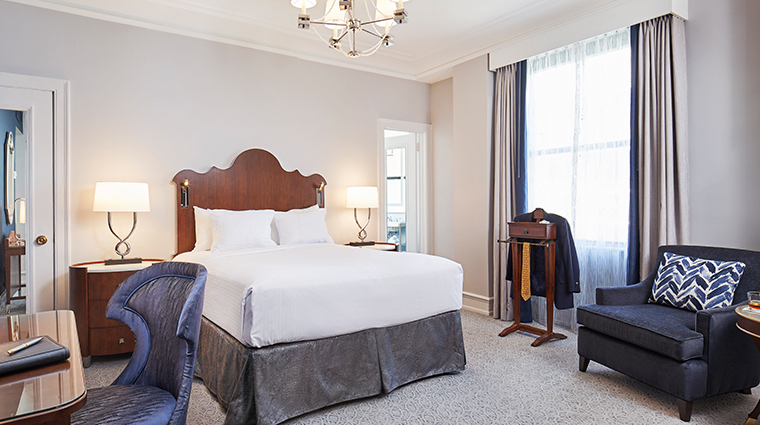 You’ll commemorate the historic occasion in style with plush Peabody Suite accommodations, dinner for two in Four-Star Chez Philippe, room service for breakfast, a couple’s massage in Feathers Spa and a keepsake bottle of Peabody 150th anniversary Dom Pérignon to keep the festivities going long after you’ve checked out. The Peabody is a Memphis landmark. Perhaps best known for its signature ducks that march twice daily to splash in the hotel's fountain, this grand hotel is also a shopping destination (it's the home of Lansky's, Elvis' favorite clothing store). 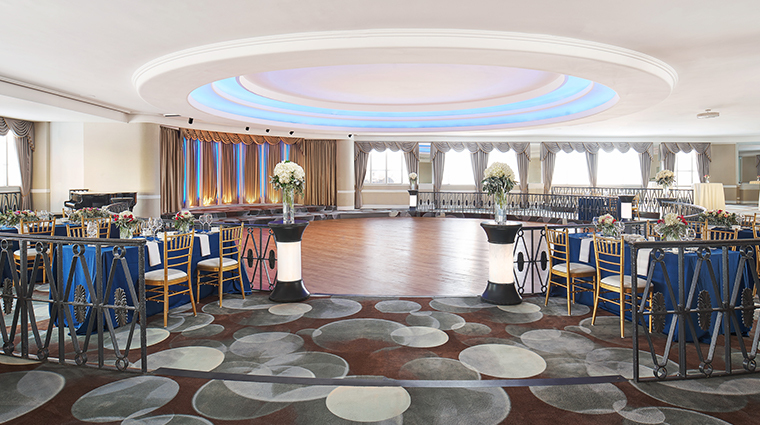 Rooms are spacious and classically decorated, with plenty of room for work or rest. 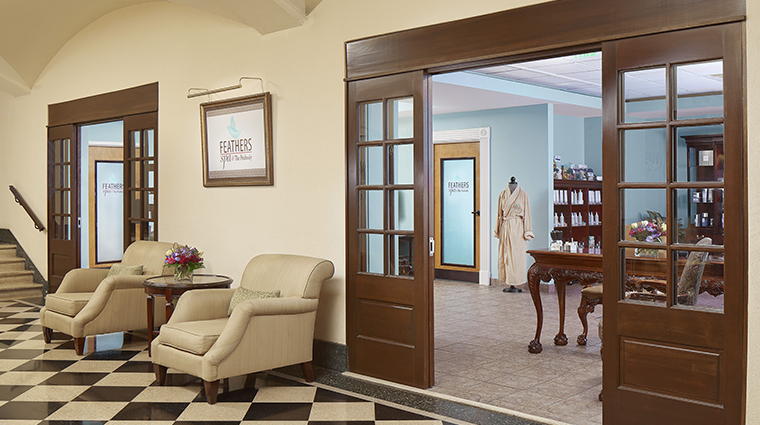 The hotel's impressive array of amenities include a comprehensive health club, an indoor pool and Feather’s Spa and Salon. The Peabody’s world-famous Duck March takes place daily at 11 a.m. and 5 p.m. in the hotel lobby. The Peabody ducks, when not splashing around the lobby fountain, live like royalty in their rooftop Royal Duck Palace. 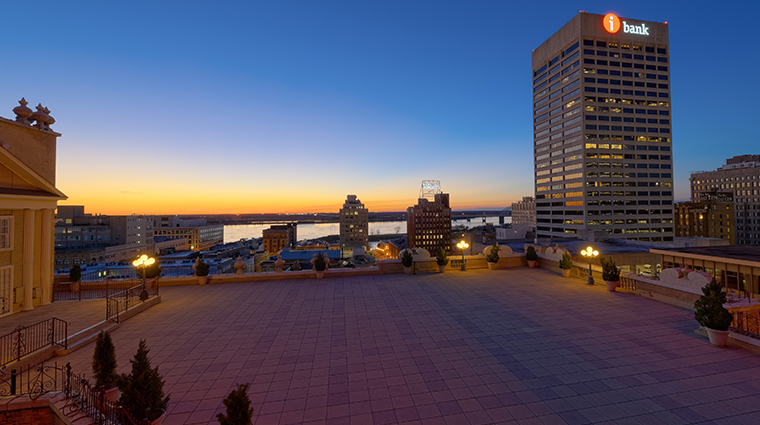 Situated in the heart of downtown Memphis, the historic hotel is a few blocks from a myriad of attractions, such as historic Beale Street, the Gibson Guitar Factory and the Orpheum Theatre. You can explore the “Home of the Blues” with ease and convenience. Whether you’re having a cocktail at the Lobby Bar or delighting in the Peabody Ducks, you never know whom you may rub elbows with as celebrities, tourists, socialites and business travelers mingle here. 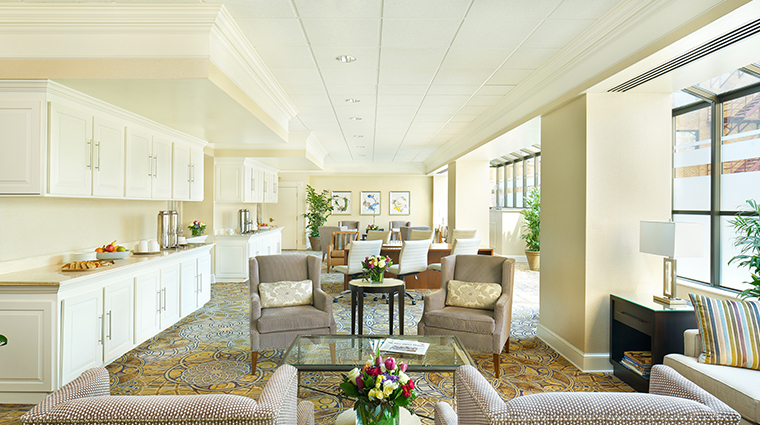 The luxury Memphis hotel is the only place in town to experience high tea in the proper English manner. 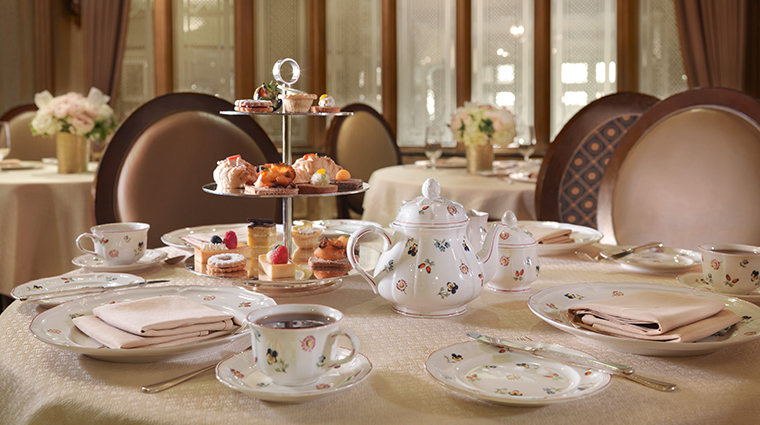 Set in the hotel’s Four-Star Chez Philippe, afternoon tea is the epitome of Southern hospitality and tradition. 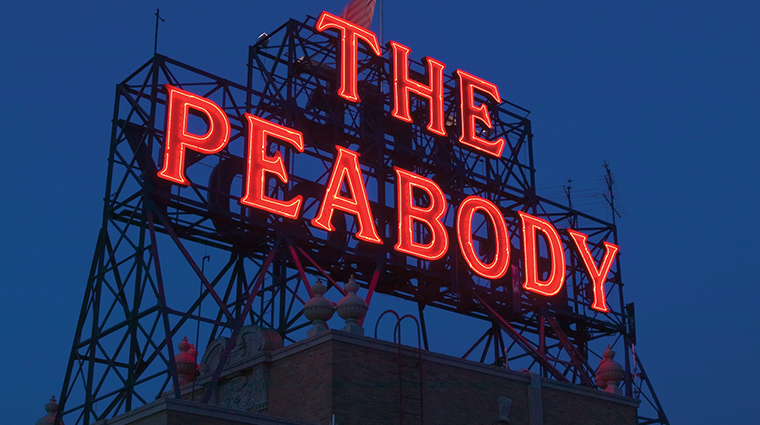 Loved by locals and out-of-towners alike, the rooftop parties at the Peabody Memphis are highlights of the social calendar. The ducks are the Memphis hotel’s theme (and its mascot), and they adorn everything from pillowcases to soaps and pastries. The only place you will not see the ducks is on any of the hotel’s restaurant menus. 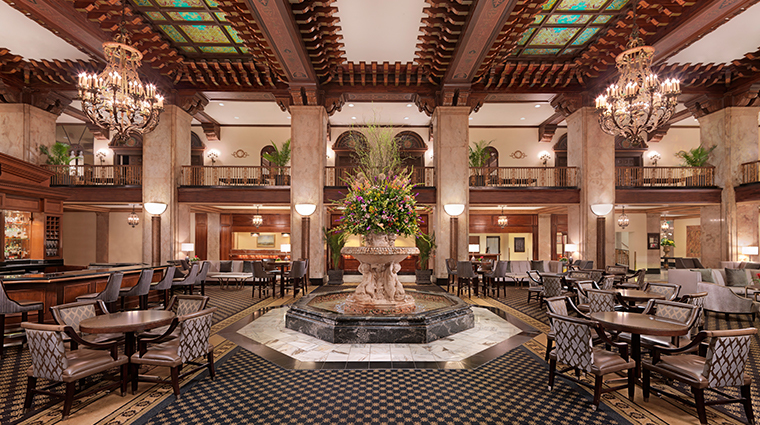 The luxury Memphis hotel was one of Elvis Presley’s favorites, and it's easy to see why. The property is as grand as its service is sublime. This Four-Star hotel also offers a limited number of pet-friendly guest rooms. If you have allergies, don’t worry; the pet-friendly rooms are confined to one area of the hotel to prevent anyone with allergies from discomfort. Early risers rejoice: coffee and tea at The Peabody Deli & Desserts is complimentary before 10 a.m. 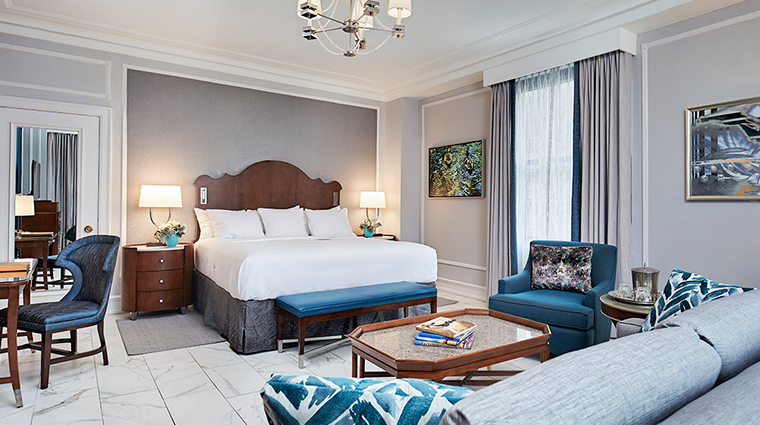 The rooms at The Peabody Memphis are traditional in style — think wooden headboards, plush armchairs and classically upholstered ottomans. 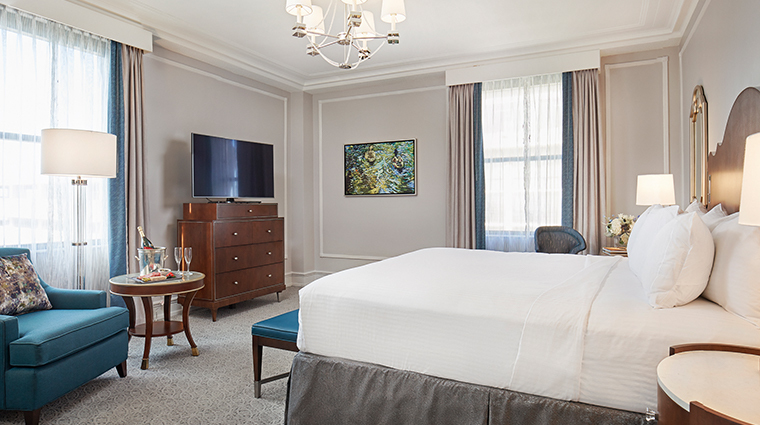 The cozy rooms allow you to unwind in comfort without too many distractions. 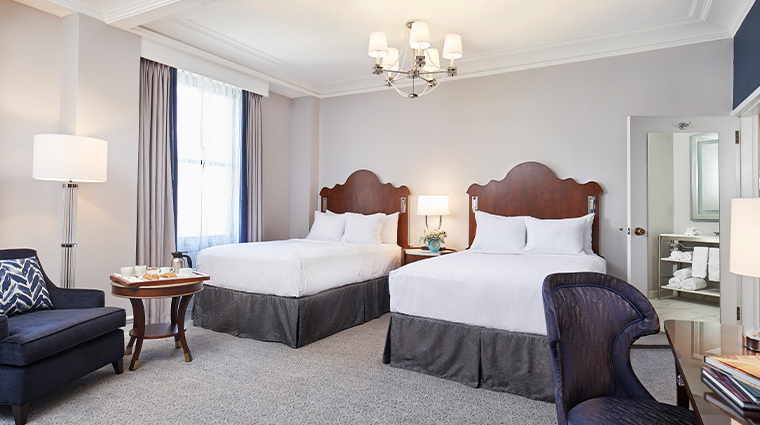 The rooms have changed and been expanded since the Four-Star hotel first opened in 1925, so each guest room is unique. The original rooms were very small and their outline can still be seen on the ceiling of some of the rooms. 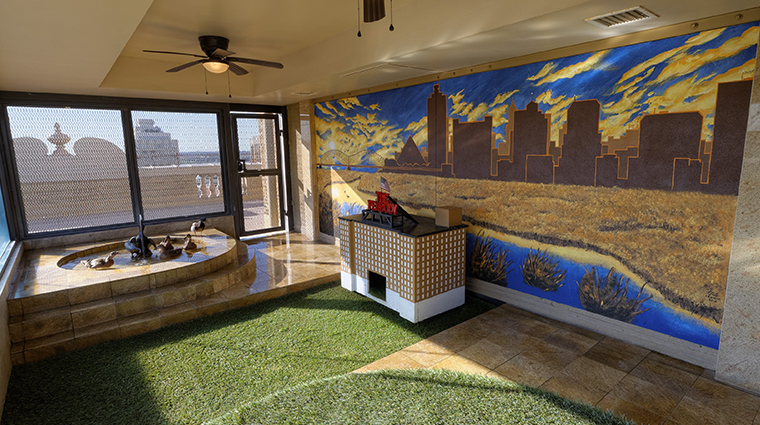 Giving the historic Memphis hotel a quirky and fun vibe, the baths come with three signature duck soaps and a duck floor mat. 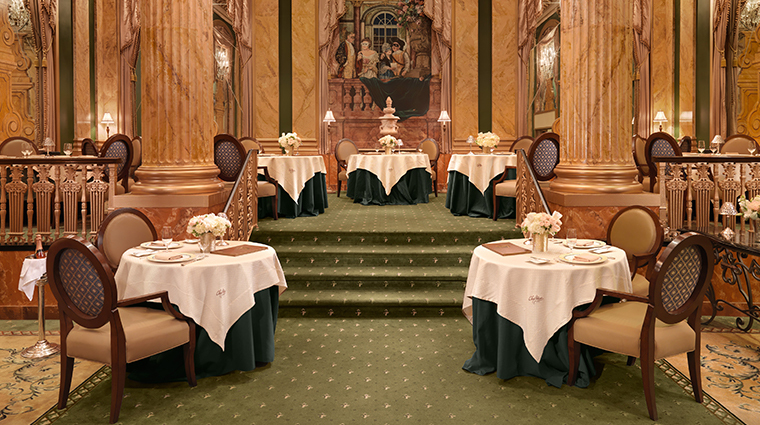 The hotel’s signature dining room is Chez Phillipe, a Forbes Travel Guide Four-Star restaurant that serves classic French cuisine with a Southern twist in a four- or seven-course tasting menu format. 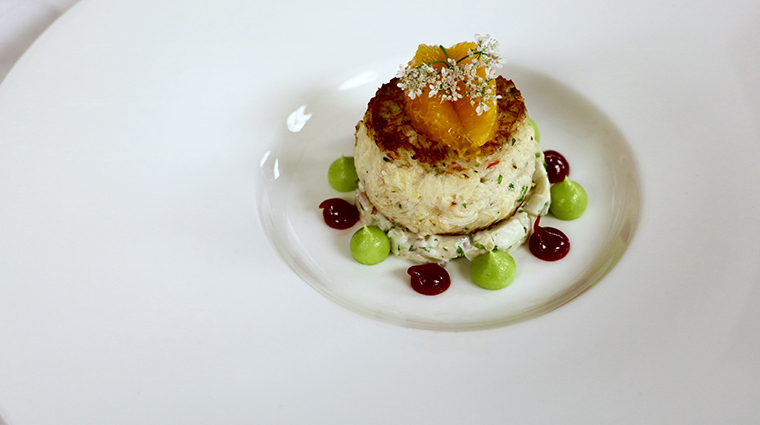 The Memphis institution is committed to showcasing fresh and local ingredients on its seasonal menu—think caramelized fig salad, smoked shrimp and grits, rabbit leg confit and a trio of crème brûlée. Capriccio Grill is an Italian Steakhouse specializing in pasta dishes as well as U.S. prime steaks and chops. The Peabody Deli & Desserts serves morning coffee, continental breakfast, salads, sandwiches and popular desserts from the Peabody Pastry Shop. 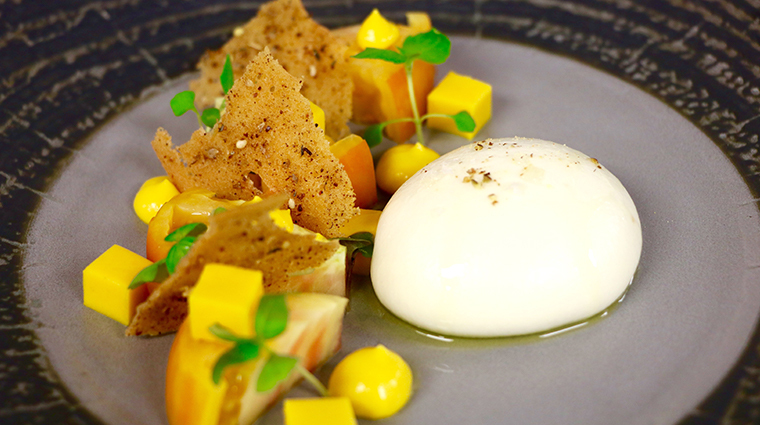 Try the Peabody duck cookie, a nod to the hotel’s famous residents.